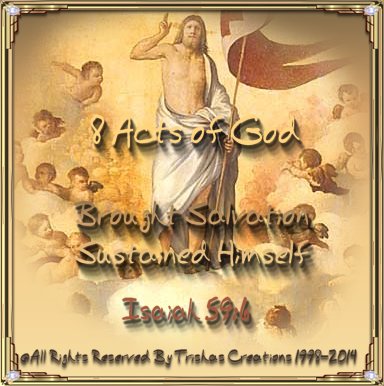 Welcome to "8 Acts of God"
We have seen other "Acts of God" and I have listed "8 More Acts of God"! Isn't it amazing how many things God has created and done!! I have seen so many things in the Bible that God has done, created, blessings, miracles it makes the Bible interesting to read and fun. If, you read carefully you can actually see the events which happened in the Bible days (Jesus' Days) in your mind while you are reading the Bible. I hope these "8 Acts of God" helps you as I pray the other's did also!